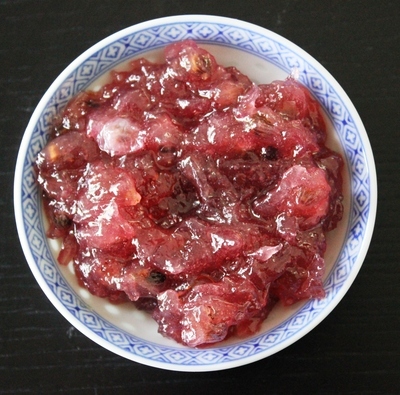 Since my discovery that Lilli Pilli fruits (also known as Riberries) are indeed edible, I have been harvesting them and making this delicious Aussie bushtucker jam. 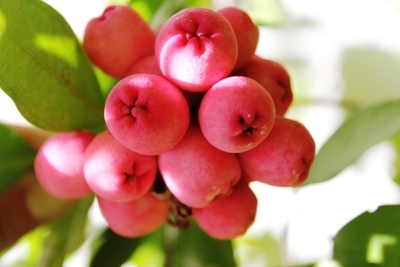 Lilli Pilli trees (Syzygium luehmannii) are commonly found in subtropical areas of Australia, and they grow in abundance in Brisbane, where you can find them as popular garden hedges and roadside trees. 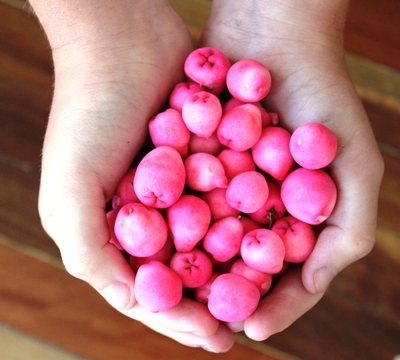 They are packed with anit-oxidants and have a high vitamin c content, so why not harvest those little pink berries and make some jam today? Add the sugar and let it dissolve, stirring occasionally as you bring it to the boil. You can remove the seeds at this stage or leave them in the jam for extra added chew. 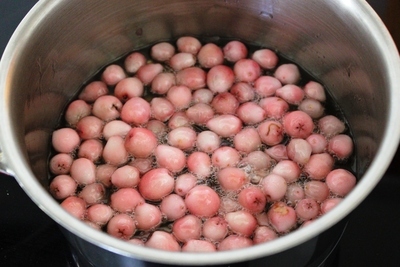 The Lilli Pilli jam will begin to set after about fifteen minutes of boiling. When the jam has reached setting point, pour it into sterilized jars. Seal and label the jars when they are cooled. 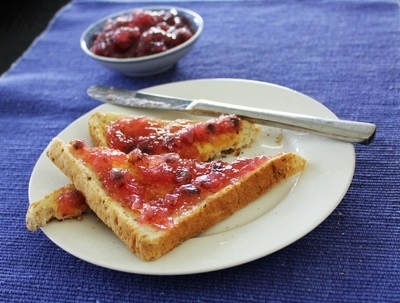 Serve on buttered toast or even scones for afternoon tea, or maybe offer it as an edible gift for family and friends. Enjoy. Am I able to substitute lemon Myrtle fruit instead of Lili Pile?